Villa Parker is a classic and elegant wedding venue with a Mediterranean feel located just south of Denver. 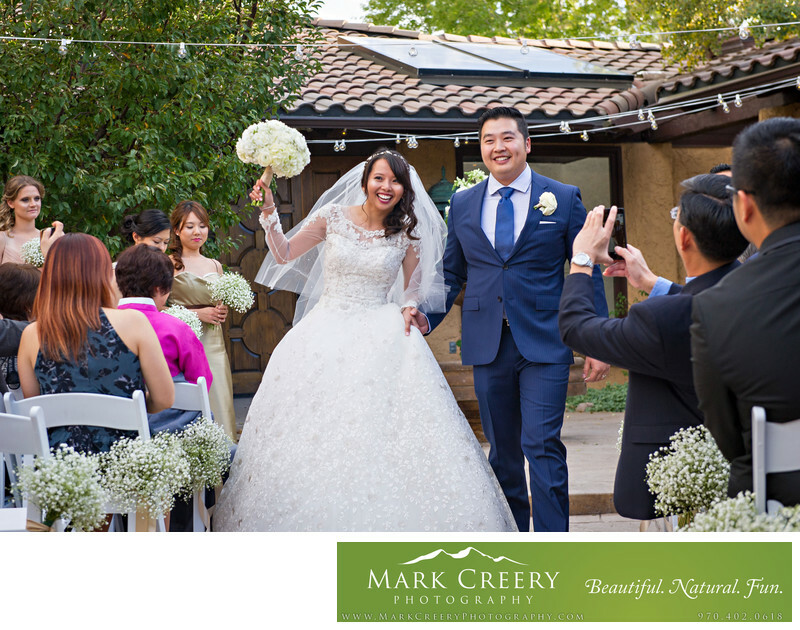 It has amazing architecture, intimate gardens, and views of the Rocky Mountains, which make it a perfect location for wedding photography. Other features include fountains, a covered patio, courtyard, pretty lighting. Weddings include day-of coordination, a rehearsal, 200 ceremony and reception chairs along with a plethora of tables. Ceremony options include the Courtyard, facing the aspen, the North Lawn, and the Nook. The indoor rooms all have Italian names that matches the feel of the space, and include a bad weather back-up area for the ceremony.